The record is made up of Codex A collection of pages, usually gathered into quires, and bound between covers. ; ff. ii+258+iii. It was created in 13th century. It was written in Arabic. The original is part of the British Library: Oriental Manuscripts. Bestiary describing the characteristics and medical uses of a large number of animals. 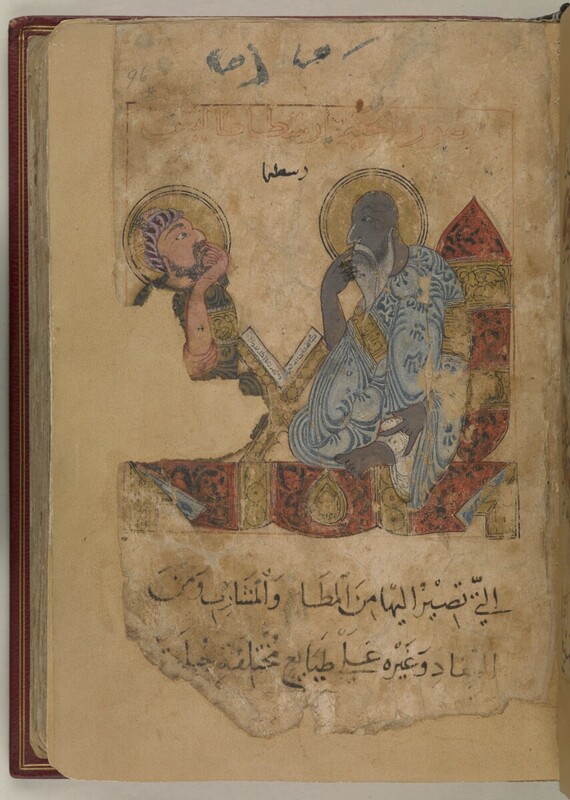 The anonymous compiler of the work (see f. 95r) claims it is based on writings by Aristotle (أرسطاطاليس; d. 322 BC) and Abū Sa‘īd ‘Ubayd Allāh ibn Jibrā’īl ibn ‘Ubayd Allāh ibn Bakhtīshū‘ ibn Jibrā’īl ibn Bakhtīshū‘ ibn Jūrjis ibn Jibrā’īl (أبو سعيد عبيد الله بن جبرائيل بن عبيد الله بن بختيشوع بن جبرائيل بن بختيشوع بن جورجس بن جبرائيل; d. ca 1058). The text contains eighty-six illustrations of very high artistic quality. The present order of the folios is faulty, and the text is defective at the beginning and end. A full reconstruction of their order along with a description of all illustrations can be found in Contadini, A World of Beasts (Leiden: Brill, 2011) pp. 25-37 and 167-69.